Curves are generally seen as a more advanced technique when it comes to quilt piecing. Quilts based on a Drunkard’s Path block are gorgeous but may be a challenge and big commitment if you’ve never pieced curves before. Today, I’ve got a great project for you to sample the world of curves and end up with an adorable accessory for your home! Start by printing and cutting out the templates for piecing. You’ll end up with two parts—the inside of your curve and the outside. 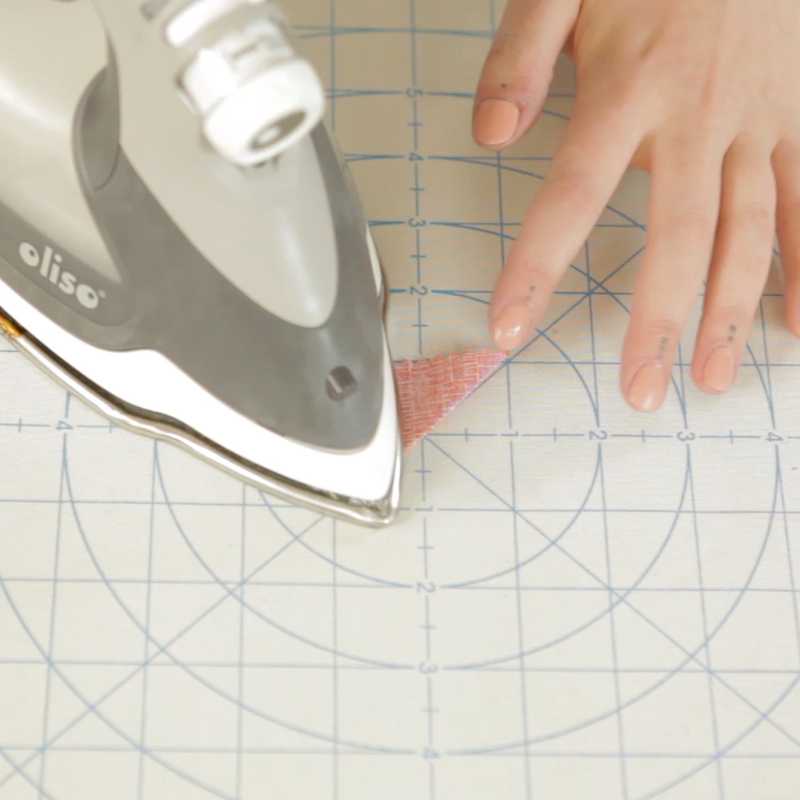 Lay the templates over your fabric and cut accordingly. You should have 4 inside curve pieces and 4 outside curve pieces for each coaster. I’ve mixed and matched my fabrics for a scrappy look. 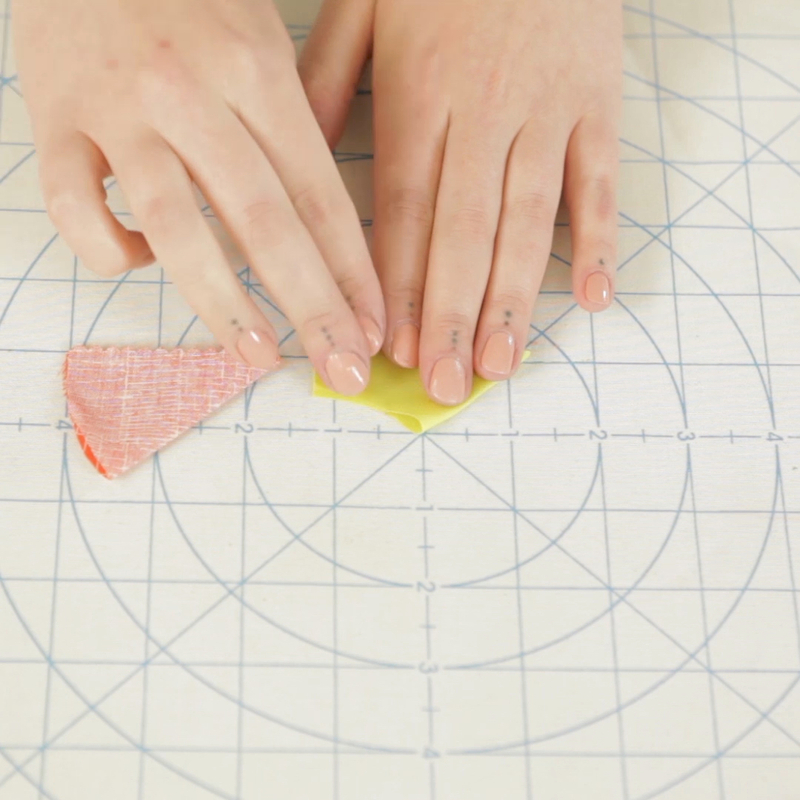 Fold your cut pieces in half by aligning the long straight edges and press. 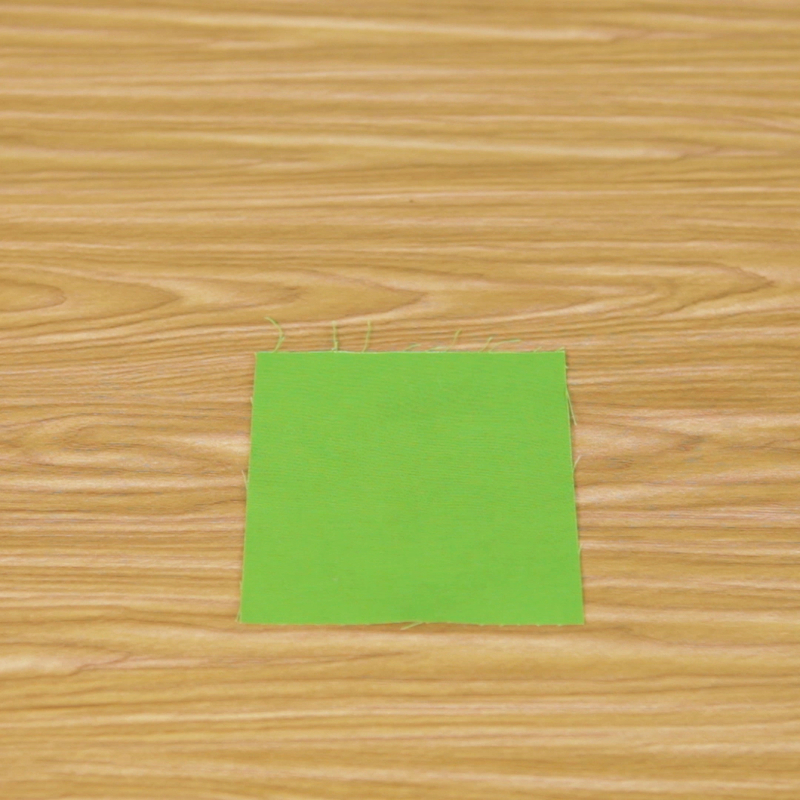 This is going to create a center alignment point when we start pinning and sewing these pieces together. Place one inner curve piece and one outer curve piece right sides together, aligning the pressed creases. Pin together at this point. Then, pin together at the beginning and ending points of the curve. Add additional pins as needed to ease the curve and keep raw edges aligned. 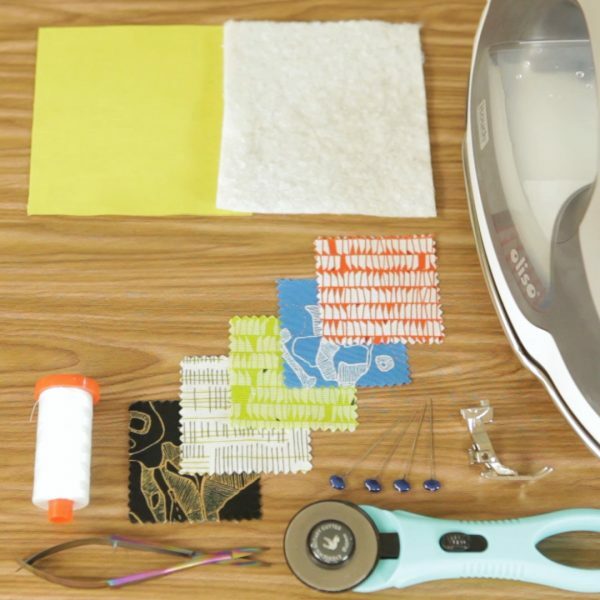 Stitch the inner and outer curve pieces together using the #97D foot. The #97D is my favorite ¼” patchwork foot. Keep your raw edges aligned with the edge of the foot as you travel around the curve. 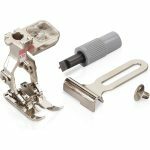 You can also install the patchwork seam guide that comes with the #97D for extra assistance on your seam allowances. 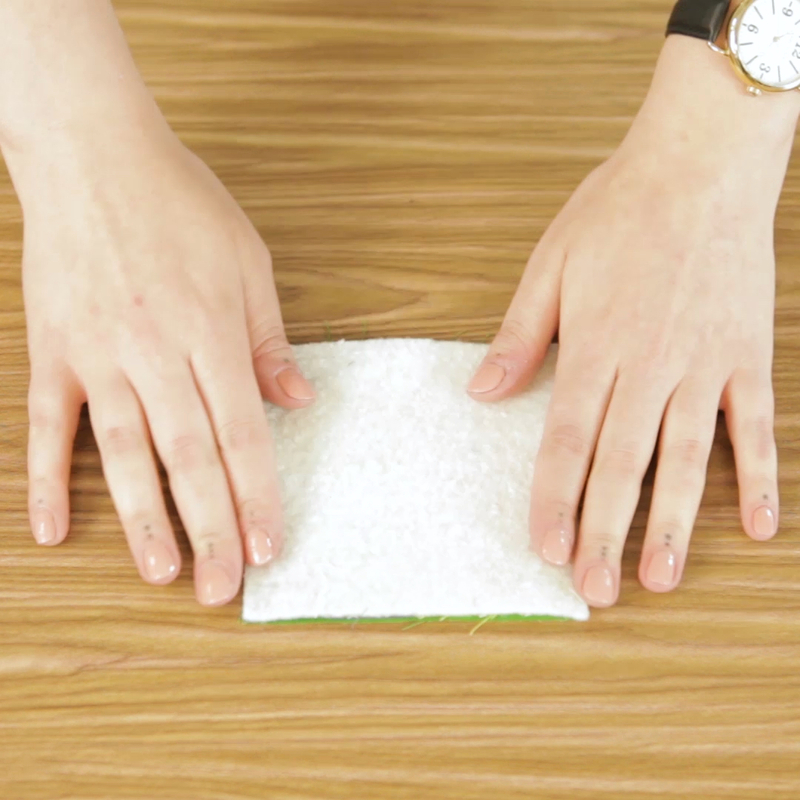 Remove pins as you work your way around the curve, being sure to keep things smooth and pucker-free. 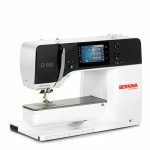 Dual Feed helps your fabric move under the foot evenly without shifting. 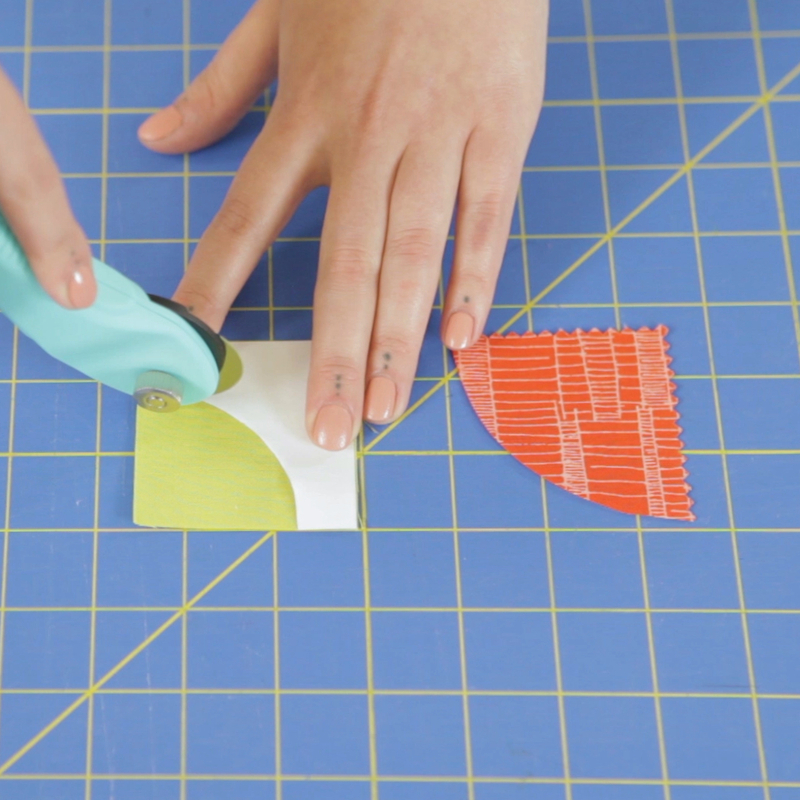 Press your curve smooth, pressing the seam allowance toward the outer curve piece. 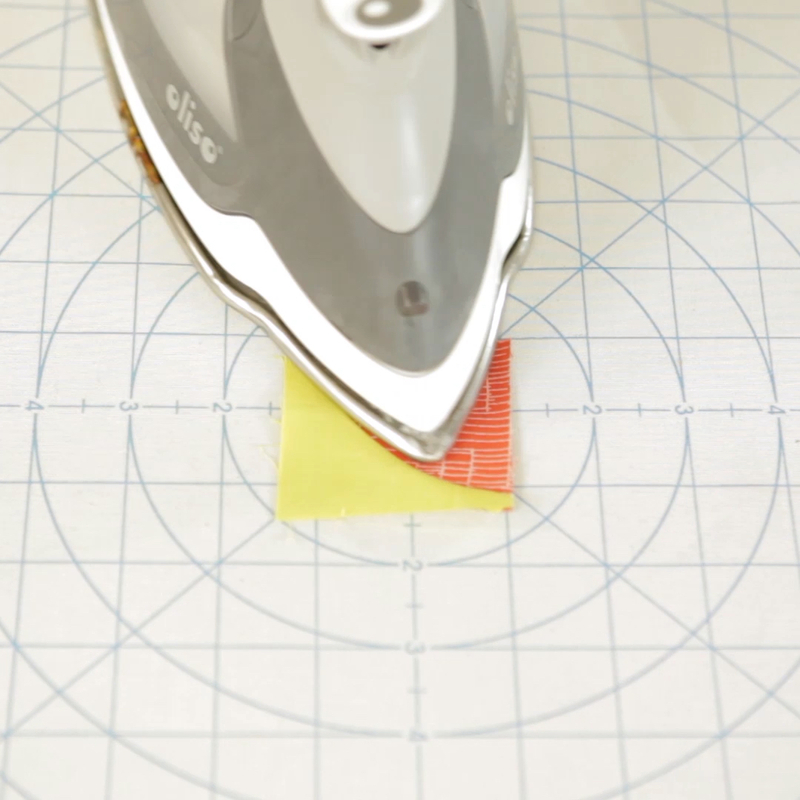 Trim each of your curved pieces to clean 2.5″ squares. 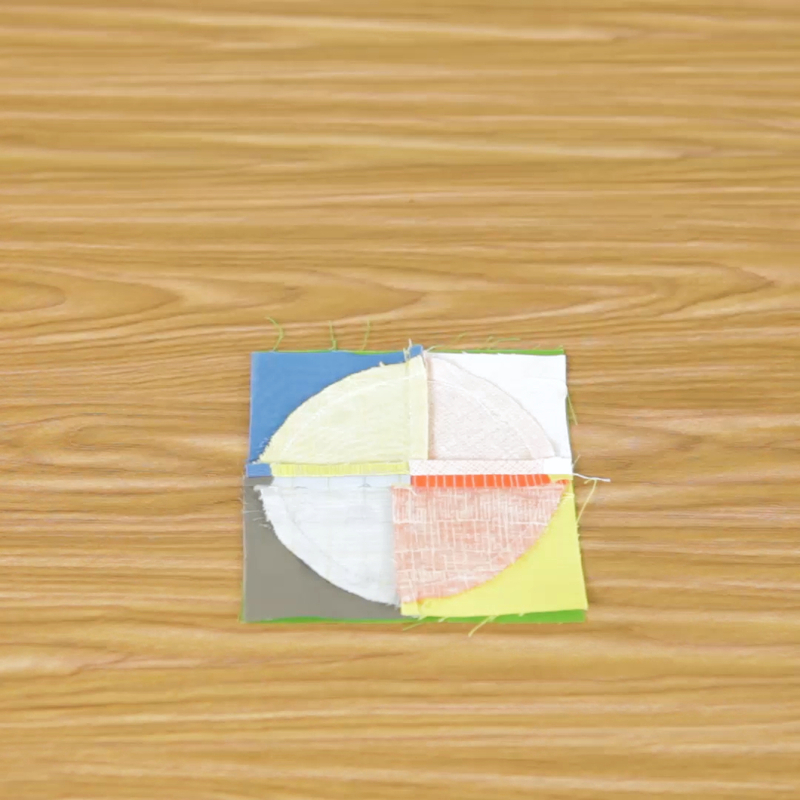 Piece your quarter circles into half circles. Press seams to the right. Then piece the two halves to a complete block. Your seams should nest at the center point. 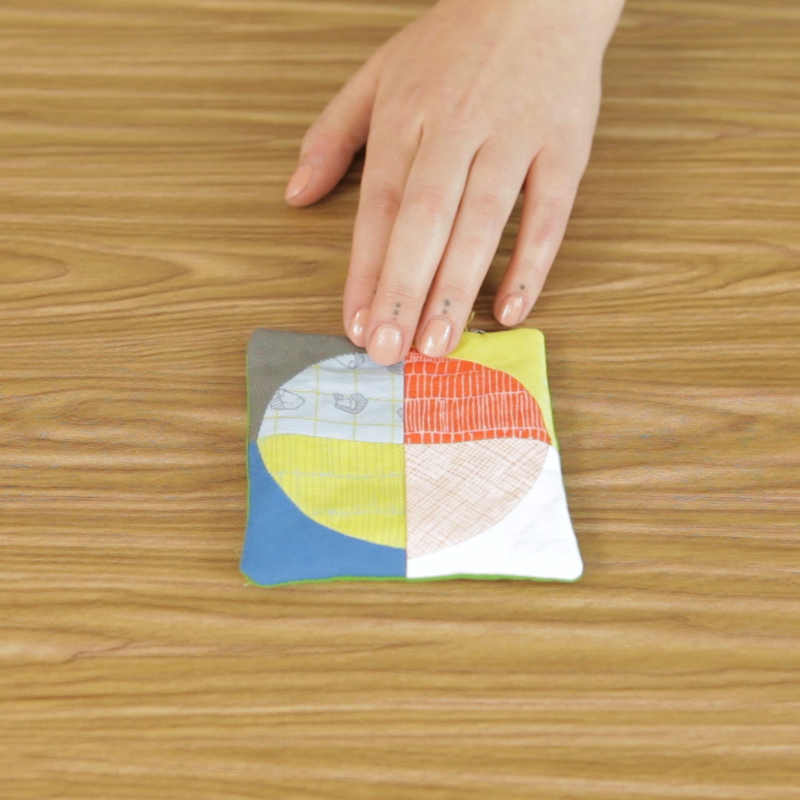 Layer your coaster backing fabric right side up, then pieced “top” right side down, and batting square on top. 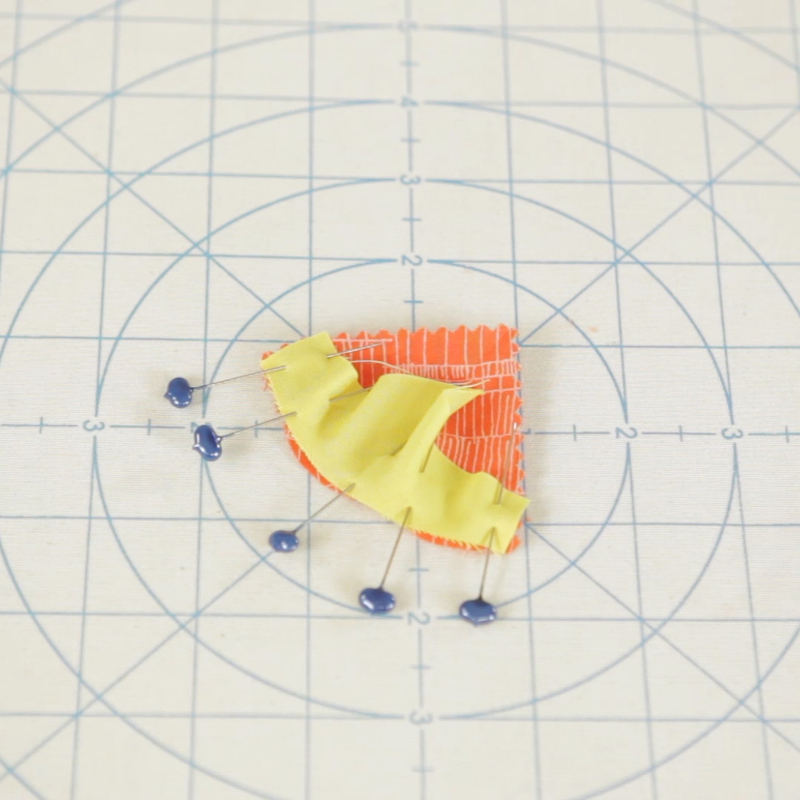 Stitch around the perimeter with a ¼” seam allowance, leaving a 2″ opening along one side. Flip right side out so that the batting is layered between the back and pieced top. 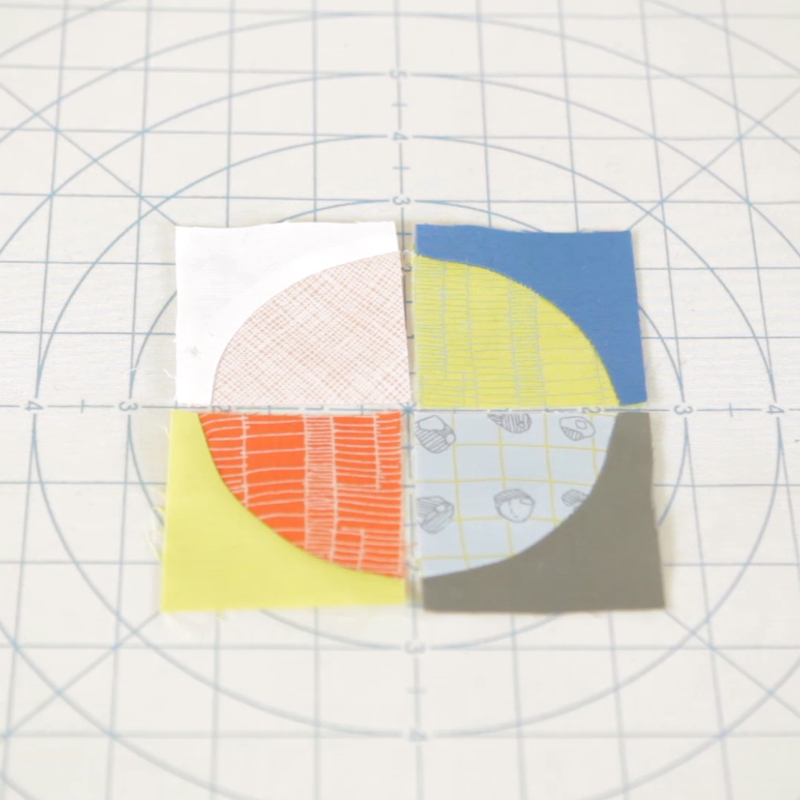 Press the raw edges at the opening in ¼”. 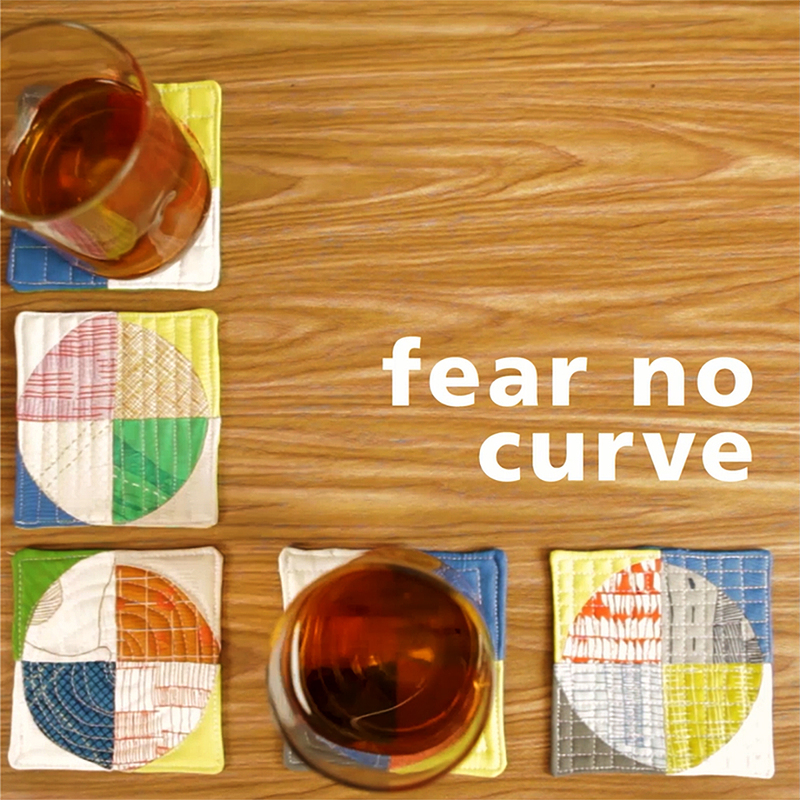 Finally, quilt your coaster as desired! I started by stitching around the perimeter of the coaster, closing the opening where we flipped right side out, then quilting a different design on each coaster. My favorite designs were a small ½” grid, straight lines about ¼” apart, or a square spiral. These are a great way to try out new motifs before stitching on a full quilt! Ta-da! A quick way to take a crack at piecing curves! Expand your skill set and walk away with a utilitarian result—my favorite combination.